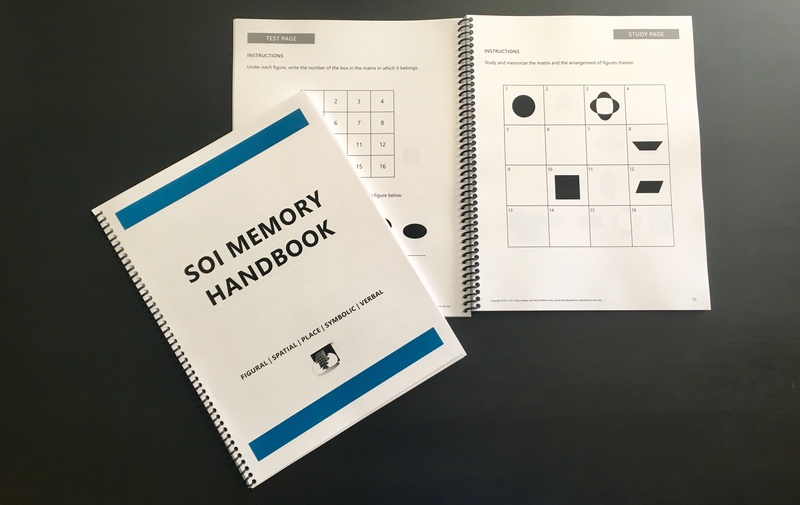 Today we have incorporated those two brain training exercise books into one: the SOI Memory Handbook. It works to improve all areas of memory, including: figural, spatial, place, symbolic, and verbal. Using this handbook will increase your ability to recall information and retain details for extended periods of time. Let SOI give you the means to stretch your brain. This 110-page workbook consists of a variety of different study and test pages. It is completely self-contained so that it can be worked on independently. This is a more difficult memory training product, so we recommend it be used for upper elementary grades and above. SOI Memory Handbook is now available for $18. Contact us to place your order today!